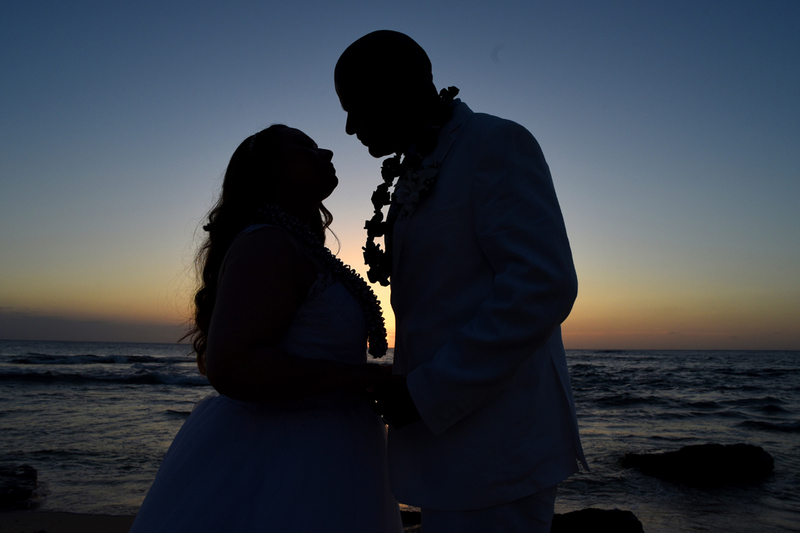 Romantic pic as the sun sets behind the Hawaiian horizon. 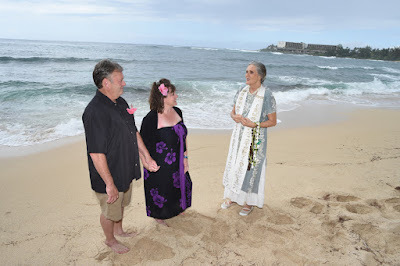 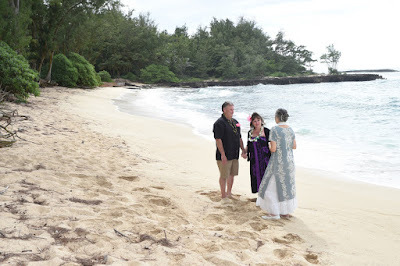 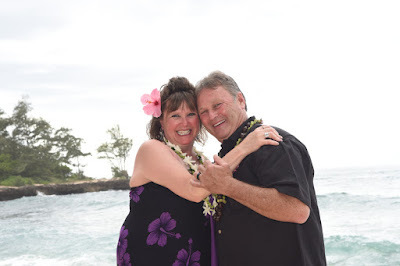 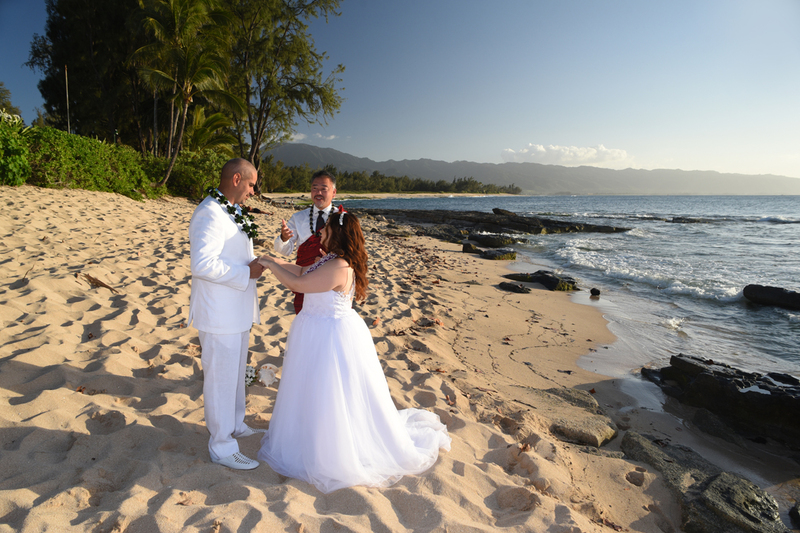 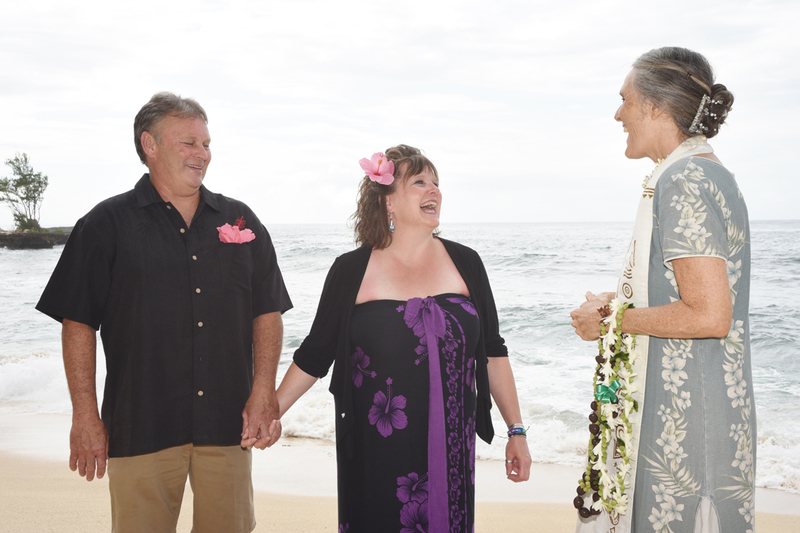 Rev John officiates at Ricardo and Paulette's Papailoa Beach Wedding in Haleiwa, Oahu. Celebrating with a rose petal flower shower! 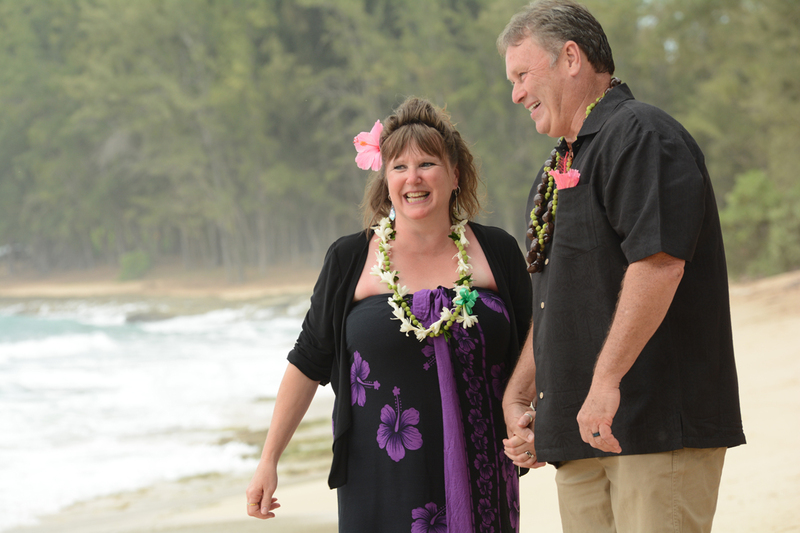 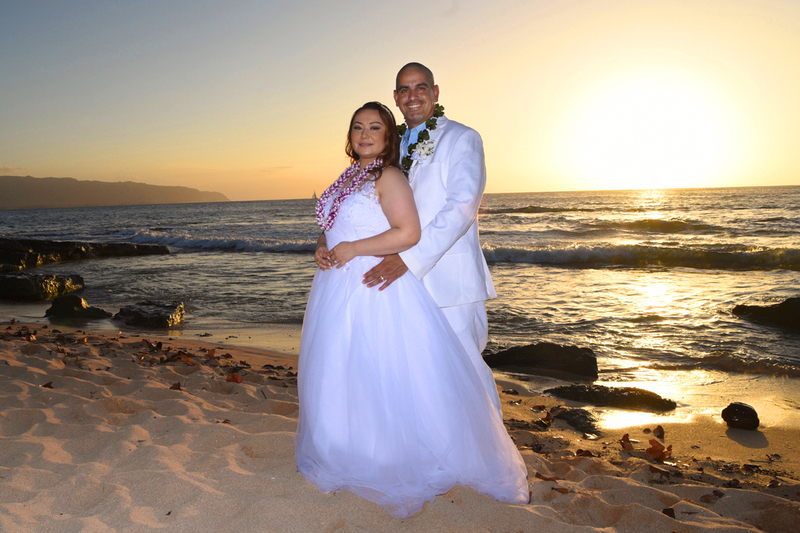 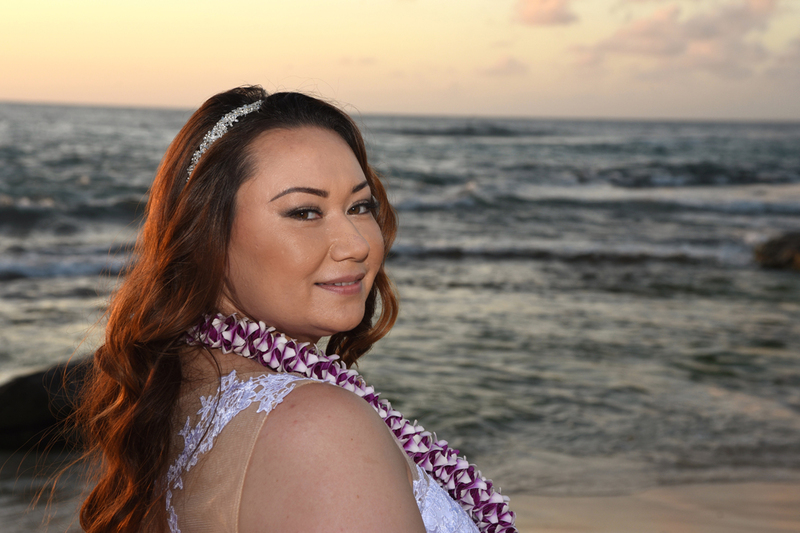 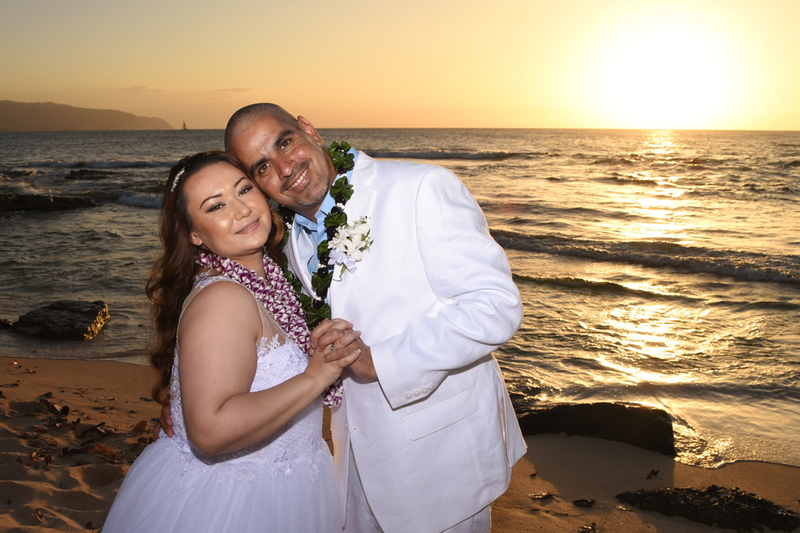 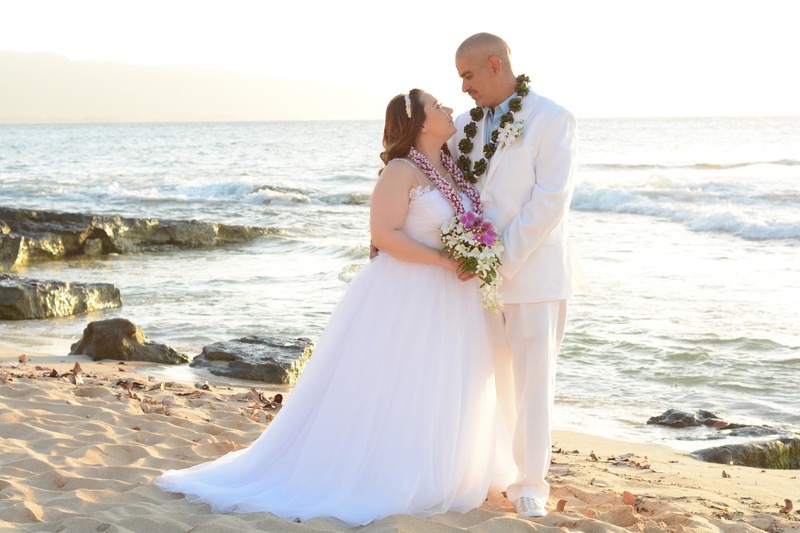 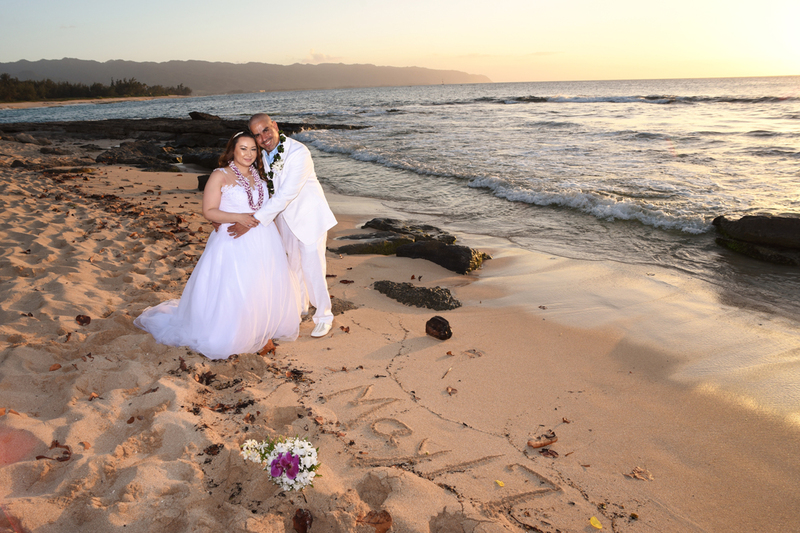 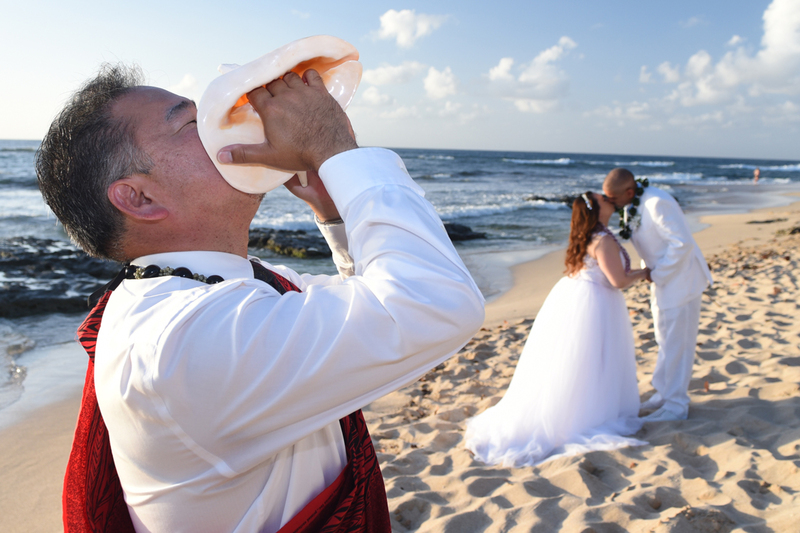 Rev Ka'imi performs Mickey and Wendy's wedding ceremony at Stables Beach, Turtle Bay on North Shore Oahu. 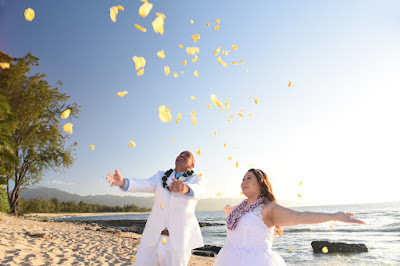 Fantastic photography by Photographer Robert Hamilton.